Home > Training by Equipment type > Crane & Rigging > Rigging Lifting Instructor Kit(Risk Management & Basic Rigging Plan)-2018 Update! Also known as Risk Management & The Basic Rigging Plan (PowerPoint and video clips on USB Thumb drive). A complete instructor "tool kit" for teaching the basics of rigging and lifting or for refresher training of experienced operators. Most instructors allocate 2-3 hours to present this material. Provides instructors who don’t have time to develop their own rigging safety training programs a comprehensive training presentation (including video clips) and a complete set of learner materials. Applies to municipalities, mines and quarries and general construction - anyone having to plan for safe lifting. Also covers rigging pre-operational inspection – what to look for and why. 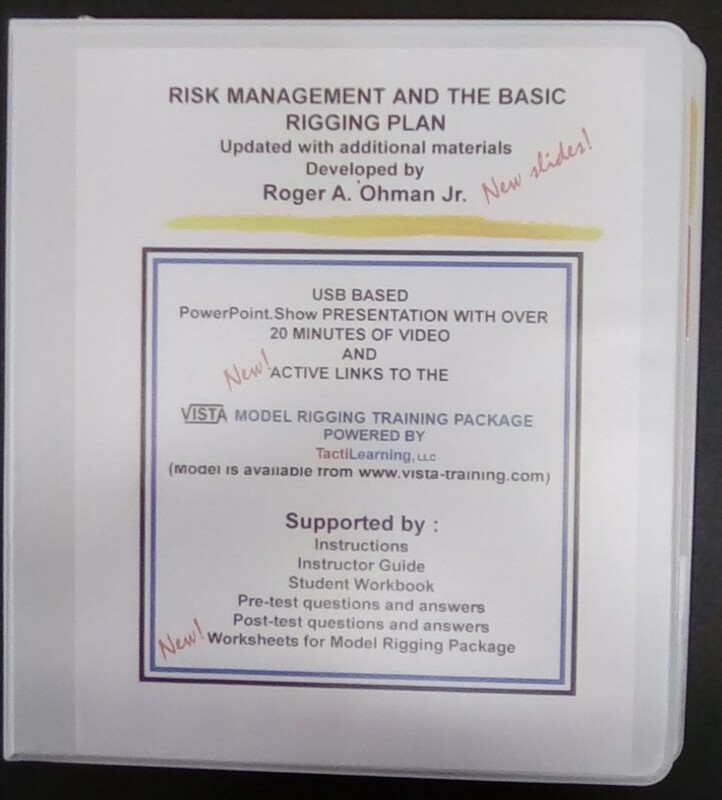 This Risk Management instructor kit also includes links to the VISTA Model Rigging Training Kit and it's workshops. So it can be used as a standalone program or in conjunction with the VISTA Model Rigging Training Kit below. See also... See also: VISTA Model Rigging Training Kit - optional additional rigging training resource (enables students to practice rigging in the classroom using a realistic rigging model). Q: Is there an instructor certification program to go with this? VISTA does not currently offer an "instructor certification program" for this product. Generally, we recommend that the trainer using this kit have previous rigging experience or attend a general rigging course (offered by a number of vendors). Once they are familiar with rigging, this kit has enough materials to enable the trainer to conduct a 2-3 hour course. 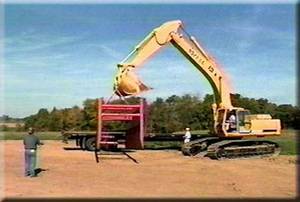 We do offer onsite training programs for most heavy equipment, along with various Train the trainer programs. Please call our 800-942-2886 x 305 toll free number to discuss other possible solutions. Have a safe day!